It has been a while since I last reviewed something but the fact that Dilliwaali Zaalim Girlfriend had so many composers involved and my embossed love for Yo Yo’s Birthday Bash track, which has been buzzing in my recent playlist for about a month brought me back to review music. At least this album for now. Dilliwaali Zaalim Girlfriend was is one big album to even scroll down, so you need to take some real-time 40 mins to be more accurate. But was it worth the time? Well, stay with me for few minutes to find out. 1) Dilliwaali Zaalim Girlfriend Music Review – Birthday Bash – Yo Yo Honey Singh‘s prodigy for this album serves as a good start point for the album. The big thump desi hop track has catchy Yo Yo styled signature music with not at all bad lyrics. Well, after all, the Yo Yo is not here to disappoint you this time. 2) Dilliwaali Zaalim Girlfriend Music Review – Tipsy Ho Gai – Dr Zeus’s blackboard scribbled by Miss Pooja and Rajveer Singh comes out more than just letters. Tipsy Ho Gayi does catches your attention from the first time you hear it but it is repeated listening that makes it toxic. Yes, and I am not over supporting it, one need to strike the chords with Dr Zeus tries to make you sing and it is a pleasure. Desi Hip Hops’ are improving and kudos to Miss Pooja for those strong sustenance. 3) Dilliwaali Zaalim Girlfriend Music Review – Zaalim Dilli – The track starts with Hard’s hard-hitting strong voice notes and in no time you have a full boombox splendidly blended. The background music is good and strong singing from Hard Kaur and Jazzy B makes it look better. The only thing that stops it from achieving fame is its’ lyrics. 4) Dilliwaali Zaalim Girlfriend Music Review – Tere Liye – After three high hip hop trance musical tracks, we have a romantic track Indeep Bakshi. The track starts on a high tone and is swift enough to catch your ear’s rhythm but it soon loses out on interest due to may be techno treatment of not so great lyrics here, or a perfect case of three good things (music, lyrics and singing) under-performing together. 5) Dilliwaali Zaalim Girlfriend Music Review – Janib (Duet) – Is it my best day today? how did I missed this. As soon as this starts, you know this will bloom some Indian romantic love tunes in Arijit Singh‘s ever splendid voice. Though Sunidhi Chauhan marks here presence in this duet quite late but she just adds up with here glare. Good music and splendid singing makes a good tune backed with strong lyrics. 6) Dilliwaali Zaalim Girlfriend Music Review – Janib (Female) – So, this is Sunidhi Chauhan‘s soulful version of Duet. It is equally good but my heart would choose the duet version as Arijit somehow sings the magical rhyme better. 7) Dilliwaali Zaalim Girlfriend Music Review – Meri Marzi Teri Raza – This is Meet Bros Anjjan‘s playground and is exceeds my expectation. The soul cry tune with average to slow-paced singing on a nice modern rhythm instrumental background brings out a nice track. Meri Marzi Teri Raza will stay in my playlist for a while now. 8) Dilliwaali Zaalim Girlfriend Music Review – Saddi Dilli – Millind Gaba does a good work as a singer in carrying a narrative track on his voice, but this becomes weak, in front of other tracks. Worth a hear a good attempt on hip-hop narrative fusion. Summary: Dilliwaali Zaalim Girlfriend is not at all Zaalim, but surprisingly good for ear’s health. Yes, even though I am not a big fan of this flick and do not plan to watch it, the musical soundtrack has no points for complaints and gives me three good takeaways. Throwaways: None, Yes, none of this 9 track album is crap. None of this is going to make your ears bleed. Verdict: Dilliwaali Zaalim Girlfriend came as a surprise and I do not know why it wasn’t marketed in a better manner. T-Series PR guys please ensure, the audience is not deprived of your composer’s hard work. 🙂 Not a Chartbuster but yes, good for collectors. 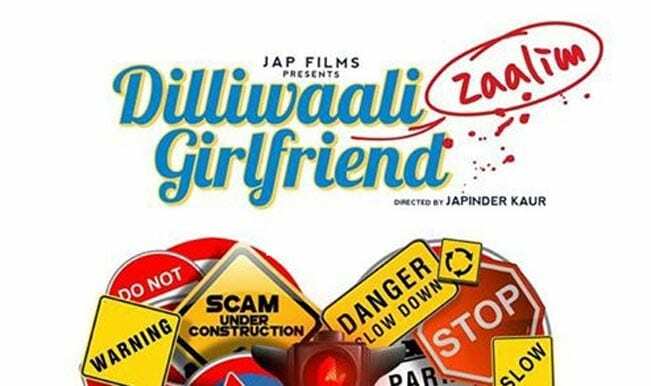 Share your thoughts on Dilliwaali Zaalim Girlfriend Soundtrack!